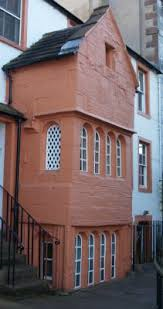 A Listed Building or structure is one that has been put on a statutory list of buildings of special architectural or historic interest. Historic England maintain the list . Buildings can be listed individually or in a group. Most listed structures are buildings but bridges, monuments, sculptures, war memorials and even milestones can be listed. Ancient uninhabited structures, such as Strickland’s Pele Tower or Beacon Tower are somtimes classified as scheduled ancient monuments. Grade II – buildings of special interest warrenting every effort to preserve them. Penrith has a number of Listed Buildings which can be found by clicking on the link.